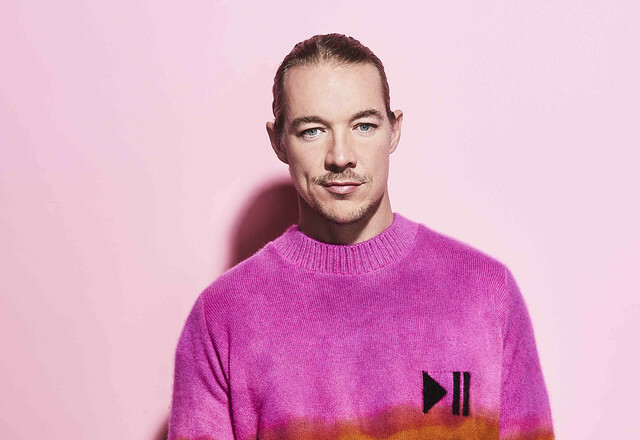 Look at these artists: Diplo, DJ Snake, Kaskade, Griz, Illenium, Excision, Marshmello, Rezz, Lane 8, Galantis, Snails, Ganja White Night, Mustard, Liquid Stranger, G Jones, Rusko, Anna Lunoe, Chris Lake, Mark Knight, Mija, MK, Cashmere Cat, Vince Staples, Nghtmre, Tritonal, Nav, Habstrakt, Said the Sky, Xie, Maddy O’Neal, Born Dirty, Timmy Trumpet, Gammer, Ducky, Luca Lush, Sikdope, and Omnom. 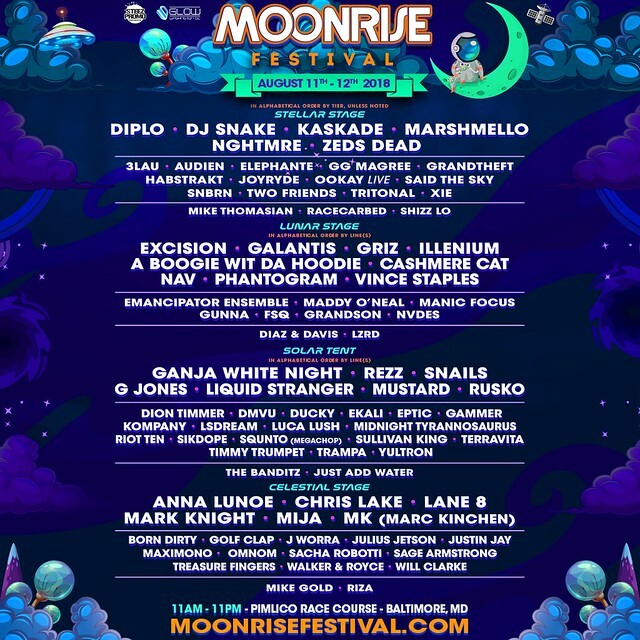 All of those acts will perform at Moonrise Festival, along with others, including some of the DMV’s best dance music artists, across four stages — Stellar Stage, Lunar Stage, Solar Tent, and Celestial Garden. Hailed as one of the best and most diverse East Coast festivals, Moonrise annually draws in more than 35,000 attendees per day. Organizers Club Glow and Steez Promo are the best in the biz when it comes to producing large-scale festivals and events. This year, Moonrise Festival crosses a diverse number of genres from electro to dubstep to house to electronica. Don’t miss it! Buy your tickets online. For more information, visit http://www.moonrisefestival.com.